“It’s the middle of the week; we’re not doing drugs.” Netflix has just released a new teaser for the upcoming TV series Friends from College. 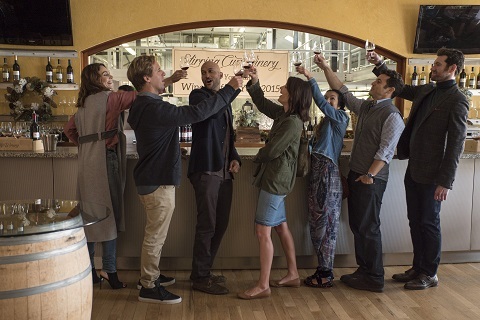 From Nick Stoller, the comedy “centers on a group of friends who went to Harvard together and are now facing down their forties and experiencing a range of success, or lack thereof, both professionally and domestically.” The cast includes Keegan Michael Key, Cobie Smulders, Fred Savage, Annie Parisse, Nat Faxon, and Jae Suh Park. What do you think? Do you subscribe to Netflix? Will you check out Friends from College?